Read our summary of the main points of the Summer Budget announced yesterday. As a result, the working age benefits will be frozen for four years with the exception of maternity pay, Personal Independence Payments (PIP), disability pay and Employment and Support Allowance (ESA). 1.75 million of the poorest families have seen their benefits cut to date due to welfare reform. In this budget, a household benefit cap has been set at £20,000 (£23,000 in London). There will provisions for exceptional circumstances like multiple births. Employment and Support Allowance will be aligned to the level of Jobseekers’ Allowance for those deemed fit to work. No current claimants will be affected by this change and new funding will be provided for additional support to help claimants return to work. The Chancellor added that full details of the £12 Billion in tax cuts would be laid out in the Welfare Reform and Work Bill due to be published on Thursday 9 July. Following the education reforms started in the last government, the Government is committing to 3 million more apprenticeships for those aged 16-24. An apprenticeship levy is being introduced for large firms to get businesses training up the next generation. There will also be a youth obligation for 18-21 to ‘earn or learn’. Automatic entitlement for housing benefit has been abolished for young people in the same age bracket. There will be exceptions for the vulnerable and other hard cases. News that rents paid in social housing will be reduced one 1% a year for the next four years will be welcome. However, those earning more than £40,000 in London and £30,000 elsewhere will pay market value rents. 45% of people we help in full time work have an annual household income of £10-15 thousand. A vast majority rely on tax credits to boost their incomes. News of the cuts to tax credits will cause some worry. From next year, the government will reduce the level of earnings at which a household’s tax credits and Universal Credit start to be withdrawn. The income threshold in tax credits will be reduced, from £6,420 to £3,850. Mr Osborne also announced that the rate at which a household’s tax credit award is reduced as they earn more will be increased, by raising the taper rate to 48 per cent. The income rise disregard will be reduced from £5,000 to £2,500 – the same level at which it was originally set in 2003. Universal Credit work allowances will be similarly reduced – and will no longer be awarded to non-disabled claimants without children. There will be no extra tax credit, Universal Credit, or housing benefit support for a third child after 2017. The personal allowance will rise to £11,000 next year, from £10,600. Once the £12,500 goal set in May 2015 is met, the threshold will be tied to the minimum wage. The 40% threshold will be £43,000 from next year, up from £42,385 - set to reach £50,000 by 2020. It is estimated that the cost to business will amount to 1% of corporate profits. To offset that, the Chancellor cut Corporation Tax to 18%. The Government will introduce a compulsory new National Living Wage to start at £7.20 next April and set to £9 p/h by 2020. The Low Pay Commission will recommend future rises. The National Living Wage will be at least 60 per cent of median earnings by 2020. 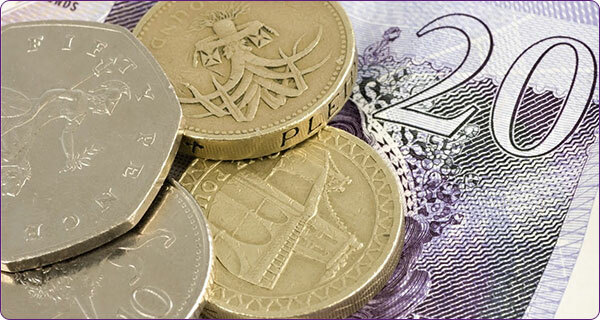 For small and medium sized enterprises (SMEs), the employment allowance is rising to £3,000. This will allow small firms to employ four people on the National Living Wage without paying any national insurance. Previous Work with people in need in Leeds/Manchester?